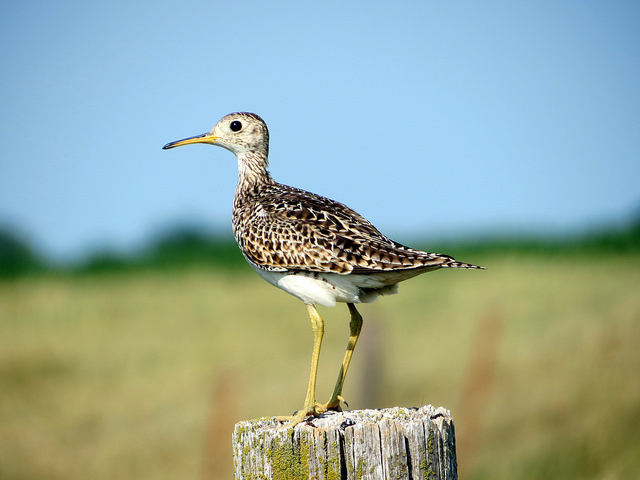 The Upland Sandpiper is a North American breeding bird. Individuals sometimes cross the ocean and then are found in western Europe. 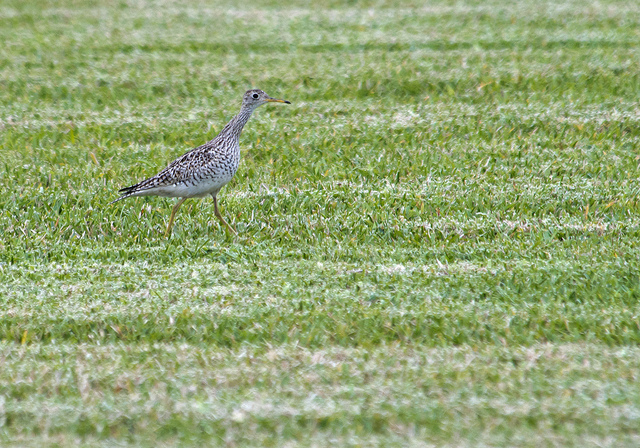 The bird has yellow legs and an unusually short beak.